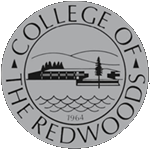 The President’s Executive Cabinet is a discussion, deliberation, and strategic decision-making forum for College of the Redwoods. The Cabinet provides effective, responsive, and informed leadership to the College. The Cabinet meets to discuss and determine policy and strategic issues affecting the College, ensures the alignment of the College’s planning processes, and promotes a collaborative decision-making culture.